Some attention has been given to the design – mostly subtle tweaks, but all of them appreciated. 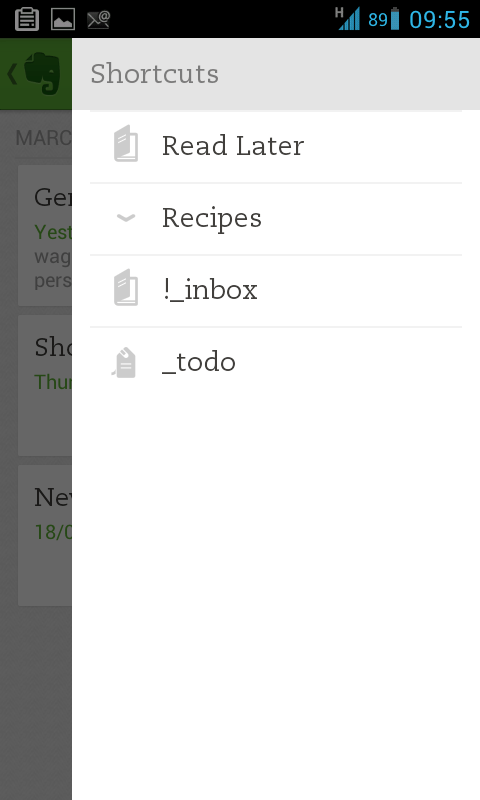 The snippets view looks much nicer and Evernote updated the fonts to a crisp and modern serif which looks quite classy. 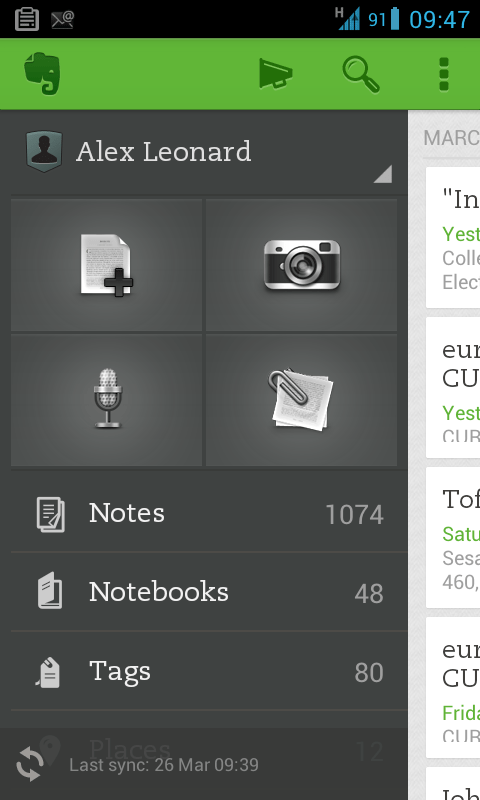 Interestingly Evernote have brought out a new page scanning mode. I have done some quick tests on it and it does a reasonable job, but doesn’t reach the capabilities found in a dedicated app like CamScanner. With Evernote page scanning you just line it up and take a picture. I think they apply some high contrast and maybe some sharpening, but you don’t have any control over this stuff. With something like CamScanner it will automatically pick out the page edges but you can adjust them with fine-grained control. You can also adjust the scan’s contrast settings manually. I’ll have to wait and see whether I find myself using the new page scanning functionality – likely due to the convenience of one less step..
Another tweak I appreciated is that you can now add multiple images to a single note with ease – just snap image after image and each one is appended to the note. A new feature (at least for Android users) is the Shortcuts screen. Swiping in from the right-side when viewing notes, notebooks or tags reveals this new shortcut list, and you can create shortcuts to a note, notebook, or tag. My _todo 1 tag is probably my most frequently accessed tag whilst on mobile and it’s certainly nice to quickly access my notes tagged as to-dos. Search functionality has been spruced up to include the ability to search inside office documents such as Microsoft Office and OpenOffice word documents etc. Some Evernote for Business features added. Page Scanner functionality better integrated with Moleskine Smart Notebooks (completely sold out on Moleskine Asia).